Home Entertainment Celebrities Fawad Khan’s Samsung Galaxy J Series Latest Ad is a Must Watch! 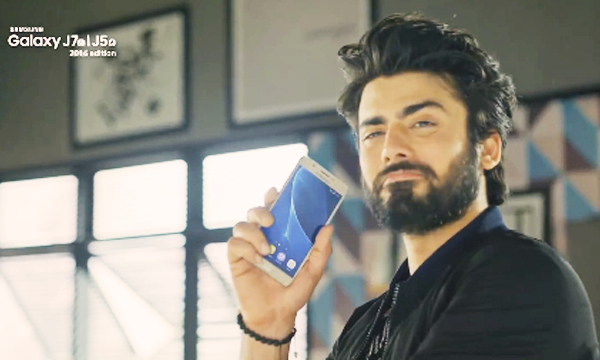 Fawad Khan’s Samsung Galaxy J Series Latest Ad is a Must Watch! Seems like it’s a Fawad Khan week! Our favorite superstar is in the news again, this time for starring in a jaunty TVC for Samsung Galaxy J Series. Yet again, the Pakistani King Khan has appeared in a double role in the advert. 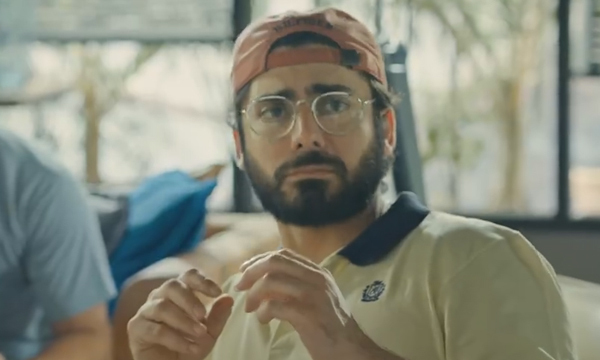 The commercial unveils Fawad Khan in a never-seen-before geeky look with over-sized glass and a turned cap. He is chilling with his buddies, playing a game on his mediocre smartphone while he loses cause of his device being slow. 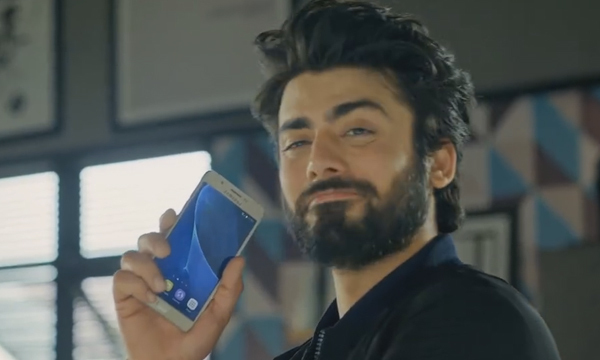 From out-of-nowhere materializes our good-looking, hunky-dory Fawad and unveils in all his glory, a Samsung Galaxy J phone! Watch the ad for yourself here. Fawad is a total dreamboat. He can rock any avatar with ease! That is why brands are eager to feature him in adverts. Last year, he also endorsed Samsung’s Galaxy Grand Prime and kickstarted his spree of never-ending endorsements. Recently, the movie star appeared in a funny Oye Hoye advert, that too in a double role. Khan is surely on a roll! Fawad Khan’s Oye Hoye TVC Will Make You LOL!